We all know that getting enough fat is the foundation of the ketogenic diet. But the most common mistake most ketoers make is not eating enough fat. Either because we are accustomed to accepting that fat is bad or you hate the taste of oils and liquid fat. Maybe I don't want to lick pure lard like a lollipop and wash my teeth with raw avocados. 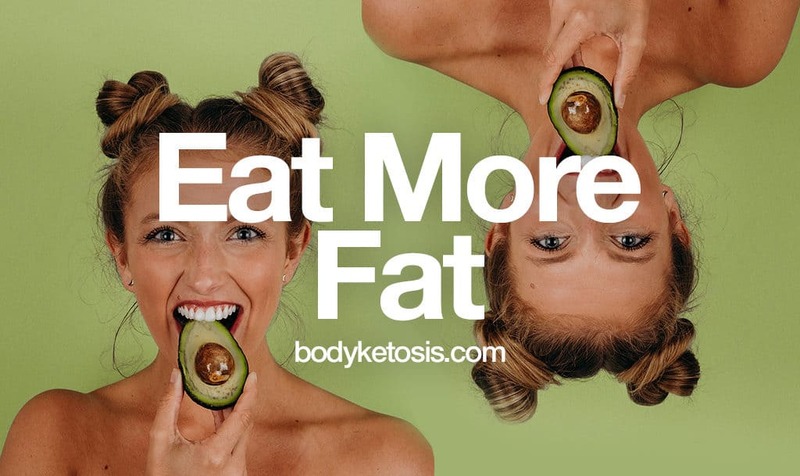 The good news is that increasing fat intake during keto can (and should) be enjoyable. In this article, we will go over the yummiest ways, on how you can easily eat more fat and enter ketosis faster. It's time to say goodbye to those nasty low-fat and fat-free products that taste like mold. It's no secret that in order to make those low-fat dairy products taste better, the fat has been replaced by sugar and other additives. So, the first thing to understand is that not all dairy is created equal. When choosing your options, then always prefer low or zero carb products. The fact is that full-fat dairy products are sooo much creamier, fulfilling and delicious. Stick with long-aged dairy products - lower in lactose and easier to digest. Swap ghee for butter - ideal alternative as the milk solids have been removed. Confirm that you are not dealing with casein sensitivity. If nothing works then ditch dairy altogether. As some people may find it difficult to digest dairy properly, then we suggest starting out with small quantities. Try to go over your grocery list and think where you can upgrade to full-fat ingredients. Dairy products to avoid are milk, half and half, evaporated and condensed milk and anything that says low calorie or low-fat. The thing I enjoy the most about the keto diet are those fatty morning coffees. As we know eating enough fat can be tricky, especially when your body is gotten used to fat and keto lifestyle. You are not hungry anymore but you need to get your fats in. What do you do? Fortunately, it's waay easier to drink your fats in than eat. That's where the fatty beverages come into play. Just add some butter, MCT oil or coconut oil into your coffee or tea is a perfect and probably the most delicious way to increase your fat intake. Oh, and it makes the texture of the coffee heavenly creamy. You need to try this one out. Adding fats to your drinks works with any drink cold or hot. Just choose your drink: coffee, matcha green tea, turmeric tea, chai tea, cold or hot. And choose your fats: ghee, MCT oil, butter, coconut oil or coconut cream. Add some cinnamon and natural sweeteners into the mix, if you need to keep your beverages sweet. There are million different recipes and you can mix and match different fat's as you wish. If you don't like the taste of fat or butter, then go to the next one. If you enjoy some good old butter then read on. As butter, in all its forms, is a true keto staple ingredient then this is a must. Butter is an easy way to ramp up your meal fat quantity and at the same time give a boost in the taste department. Why flavor? Because different fats will add and change flavors drastically. This at the other hand adds some flavor and variety into your meals. For starters add it to every meal possible. Add it on top of your keto veggies or your morning eggs. The good thing with butter is that it's super versatile in the kitchen. You can use it for cooking, baking or eat it raw (I know there are some of you out there). If you are lactose intolerant or if butter isn't your no 1 choice, then a good alternative is ghee. It's full of good fats and contains MCT's. MCTs reduce appetite, aids weight loss and helps with a number of diseases. This may sound pretty obvious, but the amount fat you can find from chicken versus beef is huge. I'm sure you are used to hearing that chicken breast is the way to go, because it's a lean cut of meat and healthy for you. During keto, we want to do just the opposite. If you can't live without chicken, then ditch the chicken breast and go for fattier chicken thighs and ramp those bad boys up with cheese and oil. Opt for poultry legs, wings and duck breasts. Also, prefer fatty deli meats. To add some variety to your protein intake, eat more fish also. For example, fatty fish is too perfect for keto life. It provides high-quality protein and is rich in beneficial omega-3 fatty acids which will help temper inflammation and reduce the risk for many chronic diseases. All those years everyone was convincing me that mayonnaise is bad for you and you shouldn't eat it. Instead use mustard or some other alternative, or rubber tasting low-carb mayo. Well, I'm so glad saying this, they are wrong (when it comes to keto of course). Mayonnaise is an essential item on the keto diet. It's high-fat, packs a flavor punch and brings your salads and other meals to life. There are tons of delicious keto friendly mayonnaise brands out there. But most mayonnaise brands are safe as long as they are low carb. I usually eat Hellmann's mayo, but you can choose whatever you like, as long as it's zero carbs. You can even make your own if you enjoy cooking. Also, mayo is also a perfect alternative for oil, to spice up your salads. As you can eat those oily salads only so many times before you get tired of them. There are many ways to get more fat, but most of them include cooking and being physically in the kitchen. Now, what to do if you are on the run? Or traveling? Or you just don't have time to eat? Then it's time to bring out the big guns and introduce you MCT oil. Now you probably have heard about it. Basically, it's a special kind of fat extracted from coconut oil that gives you a strong energy boost, increases your fat intake and is the support you need when it's time to skip some meals. It's pure fat and it goes straight to your liver which will start breaking it down. MCT's have been proven countless times to be a lightning fast energy source for your body and brain. MCT's come in liquid and powder form. If you haven't tried MCT's before then beware, that you should start using them slowly, as your stomach can get grumpy if you take them too much. That's why I prefer using MCT oil powder. Because it doesn't cause a tornado in my stomach, it doesn't make my drinks oily and the packaging is so convenient that I carry one package with me almost always. Basically, you can mix that with whatever you want: coffee, tea, water or smoothies. Almost any drink will work. Can you go nuts with nuts on keto? Most likely, but it depends more on what kind of nuts are we talking about. When you find yourself craving for something delicious (and this will happen), then prefer high-fat snacks like nuts. Nut's are truly a superfood, as they are packed with healthy fats and nutrients. Nuts are definitely a healthy high-fat staple, but not all nuts are created equal when it comes to the keto game. For example cashews, peanuts and pistachios are higher in carbohydrates and they don't contain enough good fats, so I would suggest avoiding them. 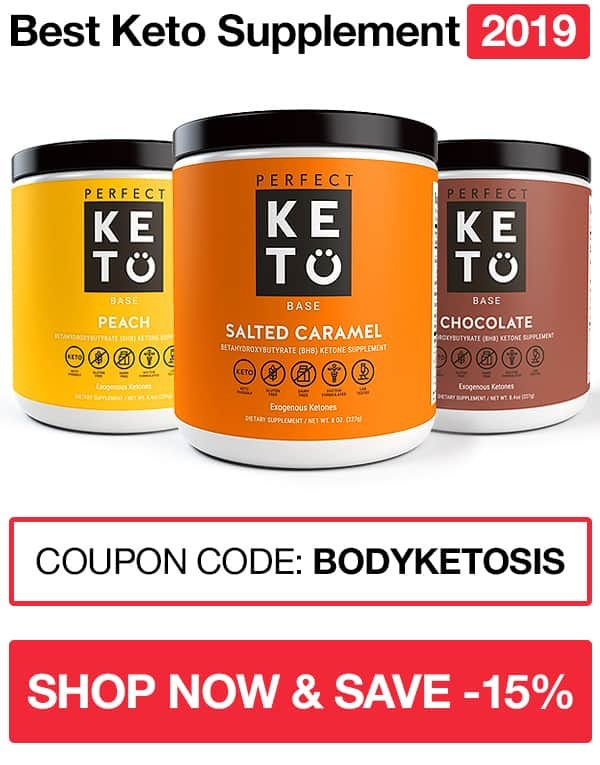 The best ones are macadamia and brazil nuts and pecans as they have the lowest amount of carbs per serving and can be enjoyed freely on the keto diet. Bacon is carnivore's candy. You can fry it, grill it or just throw it to the oven. Heck, you can wrap everything into bacon, even veggies. PS! This has been a secret method for me - how I learned to eat veggies again. Basically, wrap anything not so yummy inside bacon and all of the sudden everything is made better. If you haven't added bacon to your morning (or evening) rituals, then it's time to do it. You are missing out so much goodness. Just enjoy the time you are on keto and can eat bacon guilt free and still lose weight. It sounds like dreams really come true. And the best part about bacon is that it brings additional sodium to your menu - which you will be lacking anyway during keto. Fat bombs are keto diet secret weapon. They are deliberately designed to deliver a huge amount of fat in one bite. Fat bombs can be either sweet or savory. They provide you with enough fats that if you are struggling to get enough during your diet, then after trying these you should have no problem keeping up with them. Important note: Most fat bombs should be stored in the refrigerator. As they contain lots of fats, which are often liquid at room temperature, so make sure to store those delicious treats in the fridge. You can make your own very easily. If you follow the keto diet, then you know that most fruits are off limits. These foods are typically high in naturally occurring sugar - high in carbs. But following the keto diet, doesn't mean that you need to give up your delicious morning smoothie. In fact the opposite. But there's a surprising loophole in the smoothie world. Change your smoothie base from a fruit to a vegetable and you have made most smoothies to keto friendly like that. Another idea would be to add cream and coconut milk, which make a great high-fat base for keto smoothies and after training shakes. Cheese is both nutritious and delicious. And it helps you to get more fats in. There are hundreds if not thousands of types of cheese out there. And the best part is that all of them are extremely low in carbs and high in fat. For example, one ounce (28 grams) of cheddar cheese contains 1 gram of carbs and 7 grams of protein. Cheese is also a perfect snack. For example, when I first started out with the keto diet, I didn't enjoy oils at all. I couldn't stand the taste of that on foods and salads. My secret weapon was cheese in all its forms. Basically, I covered every meal heavily with cheese and used it as a snack. That's how I also fell in love to Moon cheese bites. Oh, and don't forget cream cheese. It adds a silky smooth texture (especially combined with hot sauce) to any meal.